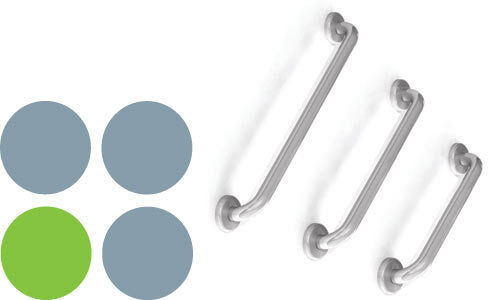 These high quality grab bars are made of stainless steel for strength and corrosion resistance. • Stainless Steel grab bars are designed to provide additional support in your shower/bathroom. • These grab bars are strong, robust and easy to clean. *Stainless steel has excellent corrosion resistance; however regular maintenance is required to keep it clean and free of contaminants. Warranty is subject to professional installation in accordance with instructions and excludes product misuse.